Enjoy the Greek Yogurt flavor that comes with an enhanced sweet taste of yogurts. This flavor delivers a great fusion that leaves your taste bud satisfied. 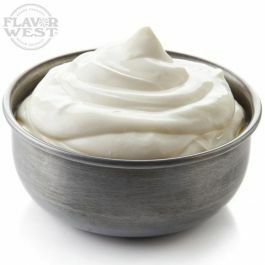 Type: Yogurt (Greek) Water soluble flavoring. Ingredients: Natural and Artificial Flavoring, Ethanol and Propylene Glycol. USP Kosher Grade Flavoring. Usage Rate: 15-20% for E-use. Flavor suitability: Desserts, cakes, pastries, ice creams smoothies, drinks, beverages, baked treats and more. Specific Gravity: 1.04 No Refunds on Flavoring. if your looking for a little tart in your too berry flavors,add some greek yogurt. but on the other case, i can cut the tarty note with Nat. Peach. its a solid blender.